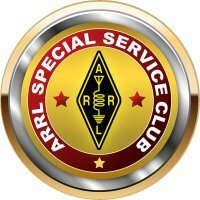 Amateur radio license exams are conducted by a team of Volunteer Examiners at the Radio Club of Tacoma Clubhouse on the second Tuesday of each month. NOTE: The FCC has eliminated Morse Code Testing as of February 23, 2007. The examination session begins promptly at 7:00 PM. Please arrive early to complete the necessary paperwork. You will be required to pay the standard VE Exam Fee before taking any one or more of the exams. Cash and checks are accepted. Checks should be made payable to "John Clarke". Retesting -- In the unlikely event you fail to pass an Element, and if you feel confident you can pass on the second try, then the examiners may give you a one-time opportunity to re-take another exam for that Element at the same session upon payment of another VE Exam Fee.